The Red Box is dedicated to paper products (newspaper, cardboard, boxboard, magazines, and junk mail). The Blue Box is dedicated to containers (glass, tin, cartons, aluminium, plastic bottles, tubs, and jars). The residential recycling program in Essex Windsor is TWO stream – container materials and paper materials. Every recycling truck has TWO compartments (one for containers and one for paper). The materials are delivered to TWO different facilities (one building for containers and another building for paper). Note / Recycling Carts: The recycling program also allows residents to use ‘residential recycling carts’. Residential Recycling Carts are to be designated for one material ONLY (either containers OR paper) – containers and paper cannot be mixed together in the cart! Carts need to be clearly labelled, in order for the driver to dump the contents in the correct compartment on the truck. Please visit our ‘Environmental Products’ page under ‘Education / Resources’ for more information about the residential recycling cart. Trays, Clamshells, & Cups (EMPTY) What To Recycle: Plastic food trays (frozen food trays, single serving, etc. ), clamshell containers (muffins, cookies, nuts, candies, etc. ), plastic baskets for fruit/vegetables, and plastic cups. Preparation: Please ensure container is empty of product. Spiral Wound Containers What To Recycle: Empty frozen juice cans, frozen dough containers (i.e. Pillsbury crescent rolls), powdered drink containers, chip containers (i.e. Pringle), powdered creamer containers, etc. Preparation: Please ensure container is empty of product. Aerosol Cans & Paint Cans (EMPTY) What To Recycle: Empty aerosol spray cans, deodorizers, cooking spray, shaving cream, etc. Empty paint cans – Lid MUST be removed. Preparation: All paint cans must be empty. Let paint dry out (knock out dried paint into garbage) and recycle the empty can. Metal lid can also be recycled. 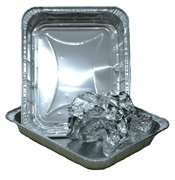 Aluminium Foil & Aluminium Trays What To Recycle: Aluminum foil (loose sheets), aluminium trays, aluminium pie plates, and aluminium pans. Preparation: Plates and trays – flatten. Foil, roll into a ball. Place into Blue Box. juice cartons, creamer cartons, juice boxes, broth cartons, soup cartons, etc. Preparation: Rinse and place loose in the Blue Box. Remove and discard any plastic lids. vegetable cans, fruit cans, soup cans, etc. All aluminium and steel cans are accepted. Preparation: Rinse and place loose in the Blue Box. Glass Bottles & Jars What To Recycle: All colours of glass bottles and jars are accepted. (i.e. condiment bottles and jars, dressings, sauces, etc.) Preparation: Place loose in the Blue Box. No ceramics, window glass, broken glass, etc. Metal lids can also be recycled in the Blue Box. Plastic Bottles & Jugs What To Recycle: Pop, water, sport drink bottles, lotion, shampoo, fabric softener, and condiment bottles, etc. Preparation: Any plastic bottle that has an opening smaller than the base. Rinse, and place loose in the Blue Box – discard plastic lids. loose in the Blue Box. Tub lids can be recycled as well. Cardboard What To Recycle: Cardboard boxes, shipping / moving boxes, clean pizza boxes, etc. Preparation: Stack smaller boxes inside larger boxes. Large appliance boxes need to be broken down into bundles (no larger) 30″ X 30″ X 8″. Catalogues, Magazines, Telephone Books What To Recycle: Catalogues, magazines, telephone books, paperback books, hardcover books, etc. Preparation: Remove cover from hardcover books and discard. Place materials loose in the Red Box. 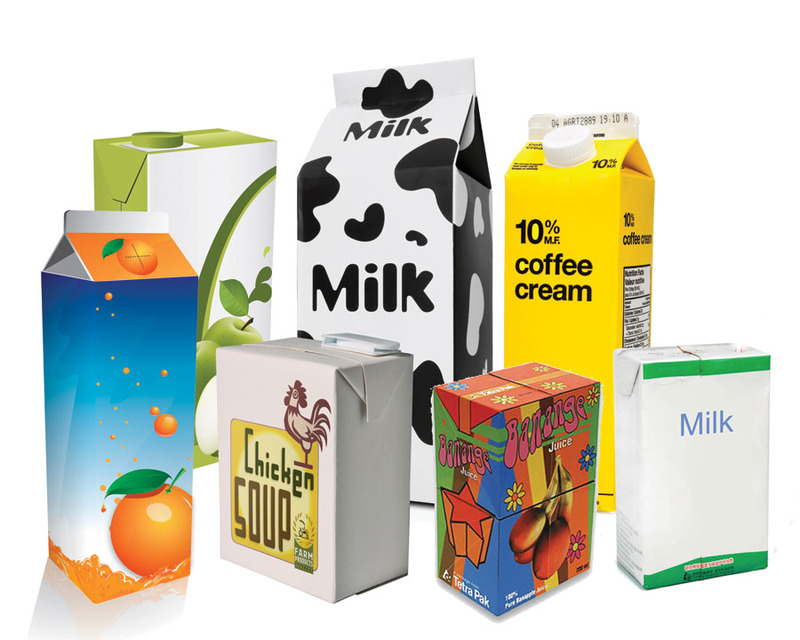 Mixed Paper What To Recycle: Cereal, pasta, cookie, laundry, detergent, tissue and shoe boxes. Pet food bags, flour, sugar and potato bags. Kraft and brown paper bags. Paper tubes (toilet paper, paper towel, wrapping paper tubes). Office paper, envelopes, fibre egg trays, gift cards, gift wrap, etc. Preparation: Flatten boxes and place in a boxboard box. Remove any plastic inserts/wrap. Place in the Red Box. Newspaper What To Recycle: Newspapers, ‘junk’ mail, inserts, flyers,etc. Preparation: Place loose in the Red Box. Please remove any plastic inserts/wrap. Contamination: If you put the wrong material in the wrong box then there is a high likelihood that the material WILL NOT be recycled because it will be delivered to the wrong facility. If you have too much paper or containers one week, don’t put it in the wrong box but instead purchase another box at Home Hardware or our Truckload Sale or use another container of a similar size or a cardboard box for the extra materials. Collection Time: Have your recycle boxes out the NIGHT BEFORE, or prior to 6:00 a.m. on your scheduled recycling collection day. NO Plastic Bags. Do NOT place your recycling in plastic bags. Plastic bags are not accepted in our program. Windy Days: Please stack your Blue Box on top of your Red Box. This will help secure the paper products so they don’t blow out of the box. Larger Blue Boxes: Larger BLUE Boxes are available to purchase at Home Hardware Stores. New larger boxes can ONLY be used for containers. The Authority generates revenue through the sale of recyclable materials. The more materials recycled – the more revenue there is to offset the waste management system costs. If residents throw recyclable materials in the garbage, we lose the revenue generated from the sale of the materials. Therefore, we encourage all residents to recycle everything that they can. Recyclable materials are a resource that should not be squandered.